Are you excited for Battleborn? That’s Gearbox’s upcoming hero shooter, which just happens to be days away from launching. If you’ve yet to get your hype on, but love the sound of 25 characters shooting the stuffing out of each other, then roll up and give the launch trailer a viewing. Need the lowdown on every single character? Try our Battleborn hero guide. The video gives a brief look at the majority of Battleborn’s characters, showing off many attacks and animations, provided you can keep up with the rapidly paced trailer. 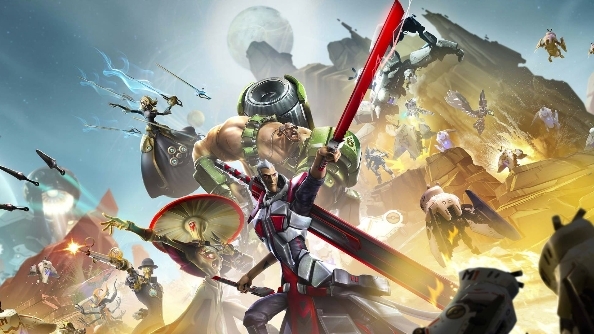 Emphasised is the many various play styles offered in Battleborn, and the fact that the game can be played solo and multiplayer. Despite having a distinctly FPS MOBA feel to it, there is a story campaign at the heart of Battleborn. If that trailer with all it’s synchronised music and gunfire has you seriously pumped, you’ll be pleased that Battleborn releases May 3, which just so happens to be just on the otherside of the weekend.